They look spent, Palace,Spuds & Mancs are going to take it out of them.. Truly embarrassing. And to think the gormless unfulfilled sheikh is probably planting supporters in there to try and mask a bigger problem. Let's also remember that last week Sunderland and Portsmouth got over 85,000 of their supporters into Wembley for the Checkatrade Trophy Final. 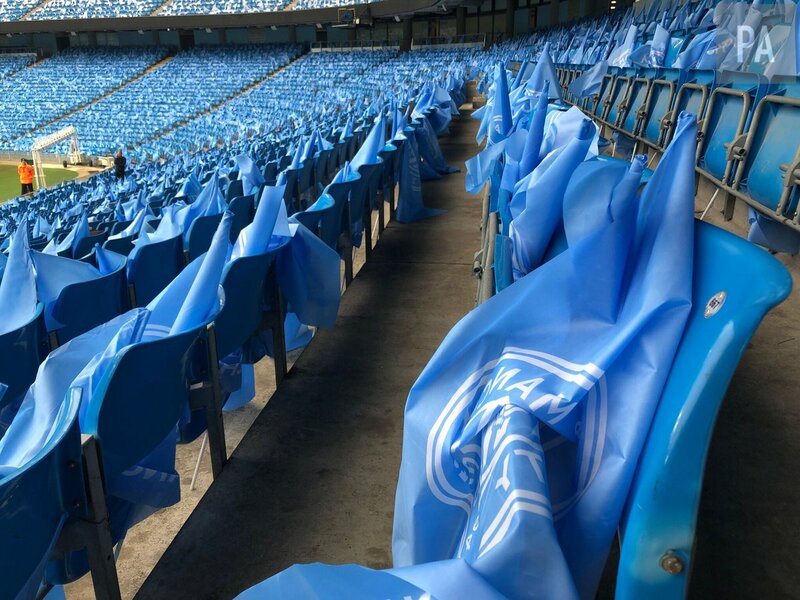 Manchester City really are absolutely pathetic and my only shame is that it isn't a proper football club with real history that we're fighting the title with. They aren't our rivals because rivalry bestows an element of respect and something of a mutually shared history. They really are just a nuisance...like a hemorrhoid. You know they're there and you know that they'll make life difficult for you but you're far too embarrassed to admit their existence to anyone else. It’s a shame Saints are not playing them, a real hard pressing team would screw then up big style this time of the season. Sterling gave away 550 tickets to a school he used to go to. They interviewed 4 of the students and who did they support? (Whilst wearing City scarves), Arsenal, Chelsea and 2 supported United. Couldn’t even pick out a single City supporter from a possible 550, yet Sterling is apparently their hero. No chance I’d be wearing a rival team scarf, don’t care who got the ticket. Keep adding more games to their schedule. I know it's after the PL but it's another game for them to juggle. Surely Paul Tierney needs to be kept away from City games. First he overuled a clear offside to let a City goal stand vs Watford and who was in charge of VAR today and decided Walker didn’t deserve a red card? Yep, Paul Tierney. Would love to see a Walker slip up cost them the championship...or anything. Pep the genius doing a double substitution at 1-0 down in the 89th minute. Showing signs of overconfidence in his team IMO. Time to blink, you f###ers and we're waiting here, at the top of the table, staring you out!! It was Stones they trotted out on Talk Sh*te. The presenter quite pointedly reminded people tickets were still available. Wow, if they can't sell tickets for that!!! Get it so far up ye! That celebration at the end. LMAO. They got trolled hard.